(FLV) Mango is hands down the best mango flavour to use in a fruit mix, there is just something about it that gives you a perfect rendition of a beautifully 'just ripe' mango ready to eat. in this recipe, the way it dances with the orange will leave you questioning what you think you know about fruits. 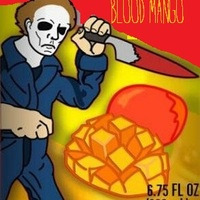 (FW) Blood Orange - The first time I tried to make this recipe I used FA Orange - This flavor just did not work for me at all and I found it to be quite harsh with almost a chemical, artificial taste. With (FW) Blood Orange the clouds parted and the Mango and Orange simply fell in love with each other. (INW) Raspberry - Well what can I say, this flavour in any fruit mix at a low percentage will just add another dimension and not distract you from the main profile. I find that in this recipe the raspberry really helps the mango shine and gives it an almost brighter, tart note...you'll just have to see for yourself. We chatted a few weeks ago about this recipe after I had reviewed one of your others. You told me it was made for a comp, I got the feeling that I shouldn't expect much...but I really liked this. Using the mango this high gives it an earthiness that isn't common in most fruity/berry vapes, and I found that quality a pretty refreshing change. It could probably be tweaked a bit and made into a real banger of a recipe, but I'll leave that to you if you still want to play with it. As is, I really enjoyed the time I spent with this one and it's a fine example of how you don't need 9 or 10 concentrates to make a nicely balanced recipe. The flavors are different enough that the recipe comes across as a more complex mix than it is, yet they all come together to make a pleasant vape.